Bangsi Festival 2017 Schedule of Activities is out! One of our highly-anticipated annual celebrations in SOX or SOCCSKSARGEN Region is the Bangsi Festival of the Municipality of Maitum in Sarangani Province. Celebrated every last week of January, Bangsi Festival is a tribute to the town's fisher folks and to celebrate the bountiful wealth of the sea. It is named after Maitum's "One town One Product" - the flying fish or bangsi. This year, Bangis Festival is scheduled from January 21-28 with main highlights happening on January 26 & 27. 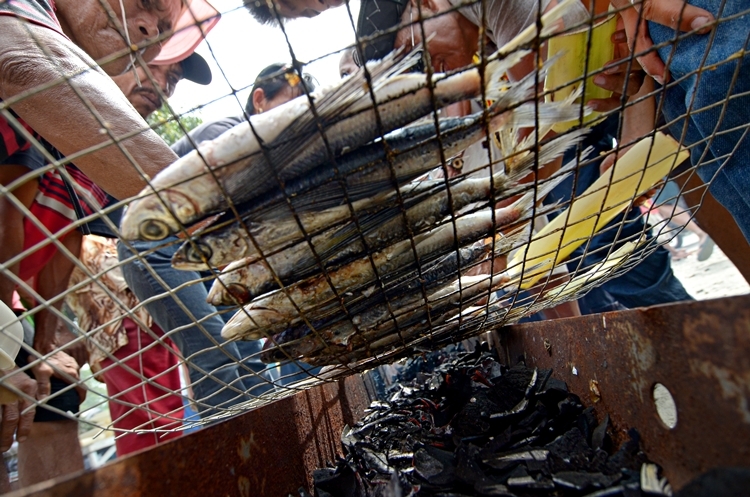 Tons of flying fish are grilled during Bangsi Festival in Maitum, Sarangani. Not-to-be-missed during the week-long festivities is the Bangsiyawan wherein street dancers from different schools in Maitum portrays life in the sea with their colorful costumes and artistically choreographed movements and the Sugbarangayan wherein tons of bangsi or flying fish are grilled along the town's main street for lunch. 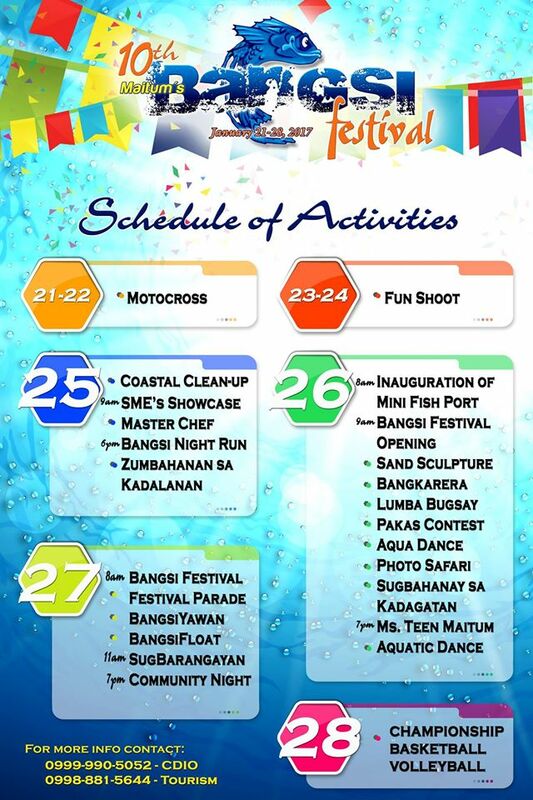 Don't miss Bangsi Festival this year, below is the schedule of activities. SOCCSKSARGEN, Philippines #SOXph by Nanardx: Bangsi Festival 2017 Schedule of Activities is out!